Time and Eternity deals with difficult issues in modern physics and brings them into relation with traditional theological doctrines. Craig has done a great work, and it is marvelous that now the philosophy of religion is engaging with the philosophy of science to the great benefit of both. Time and Eternity offers a comprehensive discussion of the problems in the concepts of time and eternity on the basis of an extraordinary familiarity with a vast number of recent contributions to this issue from scientists and philosophers. The argument is subtle and precise. Particularly important are the sections on the impact of the different versions of relativity theory on the concept of time.... The book offers a plausible argument for a realistic conception of temporal process and for God's involvement in the temporal distinctions and processes because of His presence in His creation. As a scientist doing theoretical research in gravitational physics and quantum cosmology, I found Dr. Craig's thoughtful book highly interesting. He has carefully given arguments defending several different viewpoints for each of the many issues about time that he discusses, followed by critiques in which he emphasizes his own opinion. Reading Time and Eternity has forced me to develop better arguments for my own opinions (which differ considerably from Craig's).... I am certain that Time and Eternity will also stimulate your thinking about this fascinating subject and your appreciation for the God who created time as part of the marvelous universe He has given us. William Lane Craig is one the leading philosophers of religion and one of the leading philosophers of time. In this book, he combines his expertise in these areas to produce an original, erudite, and accessible theory of time and God that will be of great interest to both the general public and scholars. It is a rewarding experience to read through this brilliant and well-researched book by one of the most learned and creative thinkers of our era. In Time and Eternity, William Lane Craig defends the remarkable conclusion that "God is timeless without creation and temporal since creation." Craig argues his case philosophically by carefully weighing evidence for and against divine temporality and personhood in light of dynamic versus static theories of time and their warrants, in turn, in a Lorentzian interpretation of special relativity and an objective, mind-independent theory of becoming, including fascinating excursions into Big Bang cosmology and the philosophy of mathematics. As the latest in his series of ground-breaking books, Time and Eternity summarizes and extends Craig's previous technical arguments and conveys them to a more general audience. It is a must-read for anyone seriously interested in the problem of time and eternity in Christian philosophy. Graduate Theological Union, Berkeley, Calif. The nature of time is a continuing source of puzzlement both to science and in everyday life. It is also an important issue in theological understandings of the nature of God. In this interesting book, Professor Craig tackles this complex set of topics in a clear way. His discussion of the interrelated scientific, philosophical, and theological issues clears up many previous misconceptions and proposes a plausible understanding of the relation of God to time and eternity that many will find helpful. Einstein's special and general theories of relativity are mathematically flawless - but the conventional physical interpretation of his mathematics has been inadequate because the "advanced potential" solution of Maxwell's equations has been misunderstood. With the help of two of the most eminent authorities on relativity theory and electromagnetic theory, the author has incorporated the advanced potential solution into special relativity theory. The interpretation of the mathematics then agrees with common sense. Quantum theory predicts that the act of observation changes the velocity of a light signal when it arrives at any material detector. The first few photons to arrive correspond to a precursor transient which establishes the new steady-state electromagnetic "near" fields surrounding the detector. The advanced potential solution then predicts that the observed arrival velocity of the light wave must be equal to c relative to the detector. Clocks really do go slow, and a twin will age more slowly, when traveling at speeds close to the speed of light. But a simple deduction from Maxwell's equations indicates that the clock's speed should always be measured relative to the background provided by the distant stars. There is then no clock or twin paradox. Einstein suggested two ways of extending general relativity using Mach's Principle. One of his approaches, which has been overlooked, may predict the particular value of the gravitational constant G we observe. 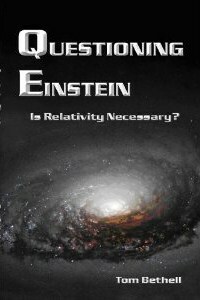 Questioning Einstein: Is Relativity Necessary? 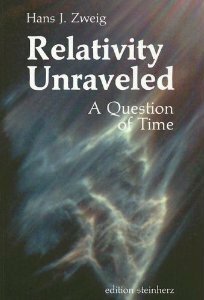 by Tom Bethell is a serious scholarly work that is very well written, absorbing the reader in a tale of long-neglected experimental results that plays out to a deep satisfaction in finally answering the question, "Why can't I understand relativity?" This is a fresh, unique review of both special and general relativity. It takes for granted that Einstein s mathematics is properly done. It does not quarrel with the numerous experimental results that support Einstein's general relativity theory. Then what is the quarrel with Einstein? Bethell argues that special relativity theory is wrong and general relativity theory is not necessary. For example, Einstein himself derived E = mc2 without relativity theory, and he also argued in a lecture in 1920 at Leiden that space without ether is unthinkable, only 15 years after having said that the ether was superfluous. 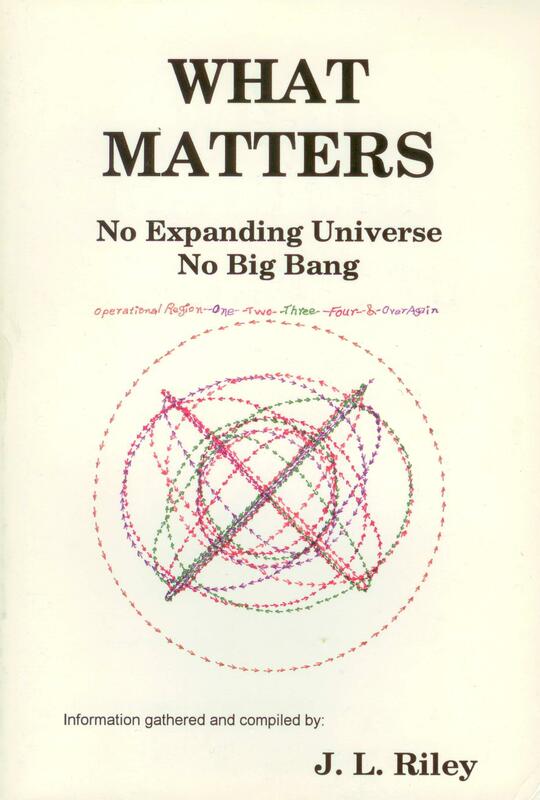 Bethell's book is not mathematical; after all, he does not quarrel with Einstein s mathematics. Importantly, it is strongly based on experimental foundations. Time dilation, for example, is supported by but not proved by moving muons and clocks carried around the globe. In particular, Bethell promotes Petr Beckmann s case that the medium of propagation of light is the dominant gravitational field. That idea is actually part and parcel of Einstein s general theory of relativity, save that the latter hides the simplicity behind tensors in curved space-time. On February 18, 2005 a one-day conference was held at Pima Community College in Tucson, Arizona at which six papers were presented. Things were kicked off with a warm welcome from the PCC-EC president, Dr. Raul Ramirez. There were 14 in attendance including Dr. Ramirez, with papers being presented by 12 of those plus one paper in absentia. Disciplines represented; astronomy, computer science, engineering physics and mathematics. Papers came from Russia (paper presented in absentia), the University of New Mexico at Gallup, and Pima Community College. Special thanks to Kirk Methlan of PCC-EC for giving us a "demonstration" of postulate 2 of special relativity, the constancy of the velocity of light. In 1905 Einstein found from relativity that there is an absolute light barrier. He reiterated his finden in 1916, writing, ...We conclude that in the theory of relativity the velocity c plays the part of limiting velocity, which can neither be reached nor exceeded by any real body. Poincar? and Lorentz did not share Einstein s view of relativity in that regard. Nor, later, did Fermi and Teller it seems. There were others who hesitated to come forward. Then in a 1921 lecture and a 1922 look, sidelights on Relativity, Einstein wrote (pp. 35- 6), Poincar? is right. The idea of the measuring-rod and the idea of the clock co-ordinated with it in the theory of relativity do not find their exact correspondence in the real world. Thus the light barrier was questioned by the same man who erected it, and the last theoretical obstacle to practical star travel was mortally wounded but few noticed. There is still a conditional light barrier, but no longer one that is impenetrable. It became clear that the second postulate of special relativity does not equate to an absolute light barrier as many continue to believe even to this day; some highly-regarded scientists continue to subscribe to this faulty logic: I believe that special relativity is correct and consequently exceeding the speed of light [by] (just accelerating more and more) is impossible, ...Don Lincoln, Fermilab, email dated 3 Feb. 2005. Such statements reflect a misunderstanding of the second postulate. The key is that the second postulate applies to photons but not to rocketships; rocketships are not macrophotons as Sachs pointed out. In the September 1971 issue of the journal Physics Today Mendel Sachs wrote about Einstein s 1921-22 change of mind as he referred to it, again in 1985, 1993 and at other times; but Sachs writings were scorned by other scientists. It was as if others wanted there to be a truly impenetrable light barrier perhaps because it seemed to hold open the exciting promise of time travel. The first author became aware of Sachs writings in 2004 and the two exchanged views for a time as reported here. This book presents a hard-science case for practical star travel. The first six chapters lay it all out in a logical and factual manner consistent with the theory of relativity. Chapters 7 & 8 outline a Grand Experiment designed to probe the light barrier. Chapters 7-9 give future-fiction accounts of possible scenarios of Humanity s first hesitant steps to the stars. Chapter 10 presents a separate argument questioning the idea of an absolute light barrier. Physical Relativity explores the nature of the distinction at the heart of Einstein's 1905 formulation of his special theory of relativity: that between kinematics and dynamics. Einstein himself became increasingly uncomfortable with this distinction, and with the limitations of what he called the "principle theory" approach inspired by the logic of thermodynamics. A handful of physicists and philosophers have over the last century likewise expressed doubts about Einstein's treatment of the relativistic behavior of rigid bodies and clocks in motion in the kinematical part of his great paper, and suggested that the dynamical understanding of length contraction and time dilation intimated by the immediate precursors of Einstein is more fundamental. Harvey Brown both examines and extends these arguments (which support a more "constructive" approach to relativistic effects in Einstein's terminology), after giving a careful analysis of key features of the pre-history of relativity theory. He argues furthermore that the geometrization of the theory by Minkowski in 1908 brought illumination, but not a causal explanation of relativistic effects. 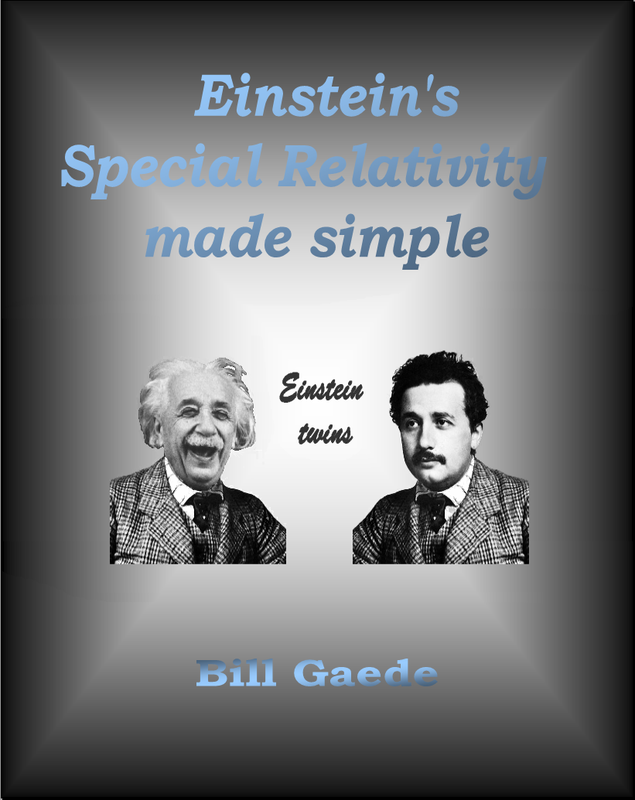 Finally, Brown tries to show that the dynamical interpretation of special relativity defended in the book is consistent with the role this theory must play as a limiting case of Einstein's 1915 theory of gravity: the general theory of relativity. In this book, I study the motion laws of masses where no direct mutual contact occur, but only the gravitation-related fields. We will discover a second field of gravitation, called cogravitation field, or gravitomagnetic field, or Heaviside field, or what I prefer to call Gyrotation, which form a whole theory, completing the classic gravitation theory to what we could call the Gyro-gravitation Theory. A model is developed by the use of mass fluxes, in analogy with energy fluxes. By this model the transfer of gravitational angular movement can be found, and by that, the fundament for an analogy with the electromagnetic equations. These equations will allow us to elucidate an important number of never earlier explained cosmic phenomena. "Within a few pages we will be aware of the reason why our solar system is nearly flat, and why some galaxies are flat as well with in the centre a more spherical bulge. Furthermore we will know why the galaxy becomes spiralled, and why some galaxies or clusters get strange matrix shapes. And a simple calculation will make clear why the stars of flat galaxies have approximately a constant speed around the centre, solving at the same time the ?dark mass? problem of these galaxies. We will also get more insight why the spirals of galaxies have got so few windings around the centre, in spite of the elevated age of the galaxy. Moreover we will discover the reason for the shape of the remnants of some exploding supernovae. When they explode, the ejected masses called remnants, get the shape of a twin wheel or a twin lobe with a central ring. Next, some calculations concerning certain binary pulsars follow, these are sets of two stars twisting around each other. We get an explanation for the fact that some fast spinning stars cannot disintegrate totally, and also a description of the cannibalization process of binary pulsars: the one compact star can indeed absorb the other, gaseous star while emitting bursts of gasses at the poles. An apparent improbable consequence of the Gyrotation theory is that mutual repulsion of masses is possible. We predict the conditions for this, which will allow us understanding how the orbit deflexion of the planets goes in its work. Furthermore we will bring the proof that Gyrotation is very similar to the special relativity principle of Einstein, allowing a readier look on how the relativity theory looks like in reality. The conclusions from both, Gyrotation Theory and Relativity Theory are however totally different, even somehow complementary, but not always recognised as such by the scientific world. Also more detailed calculations for fast spinning stars, black holes, their orbits and their event horizons are calculated. " The geometric properties of time arising from insights introduced by Hermann Minkowski are discussed. A geometric model of time yields a simpler and more natural explanation of relativistic temporal effects than prevailing ideas and better explains astrophysical empirical observations, including the apparent accelerating expansion of the Universe. It is shown that new accurate and corroborating empirical data from the two largest recent galaxy redshift surveys (2dF and SDSS) are inconsistent with the standard cosmological model, yet provide robust empirical support for a revised model based on temporal geometry arising from the principles of relativity. This dissertation also introduces several innovative and illuminating ideas related to special relativity, general relativity and quantum mechanics. 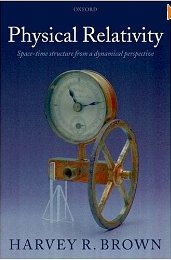 This book summarizes the experiments of senior physicists, integrates the problems that come out from natural science principle, comprehensively analyzes the root of electromagnetic induction refute, light velocity refute and space time refute. 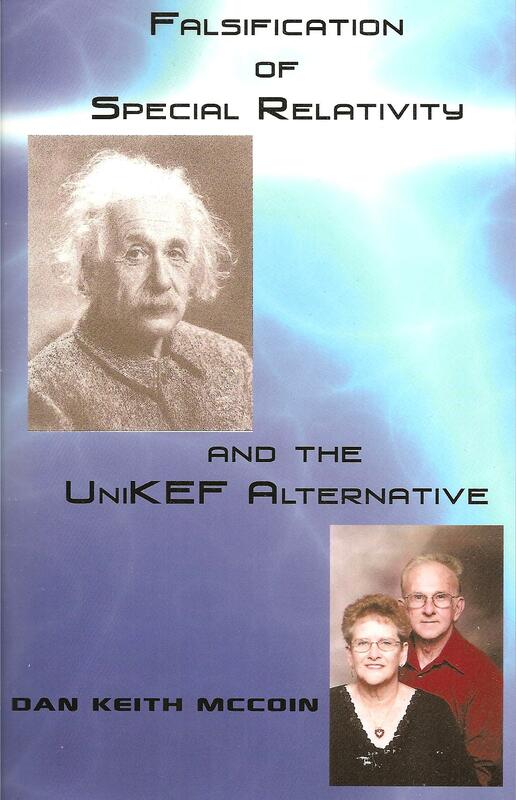 Generally speaking, this book negates special relativity? ?s proposition, argument, deduction process and its relative propositions bequeathed from its history. The above five chapters has negated the first argumentof special relativity ( that is , has negated the principl of relativity). The eighth chapter has negated the second argument of special relativity(that is, the principl of light velocity unchangeable has been negated). The six chapter has negated the proposition of special relativity(relativity? ?s dynamics, relativity? ?s kinematics, relativity? ?s electromagnetism, relativity? ?s space time view, and the constant light velocity hypothesis are all have been negated). The chapter seven has negated the mathematics tool of special relativity(Lorentz transformation has been negated). 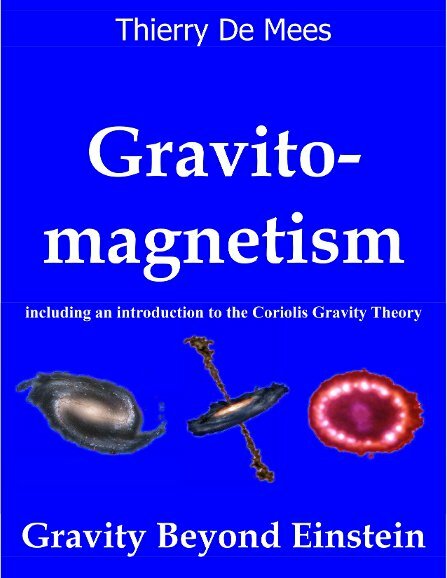 There are ten chapters in my book, the first chapter proves the universality of general Lorentz magnetic force. the second chapter proves that radio engineering is not the action of Maxwell curl equation. the third chapter negate theory system of Maxwell Curl Equation. the fourth chapter founds electric wave radiation model. 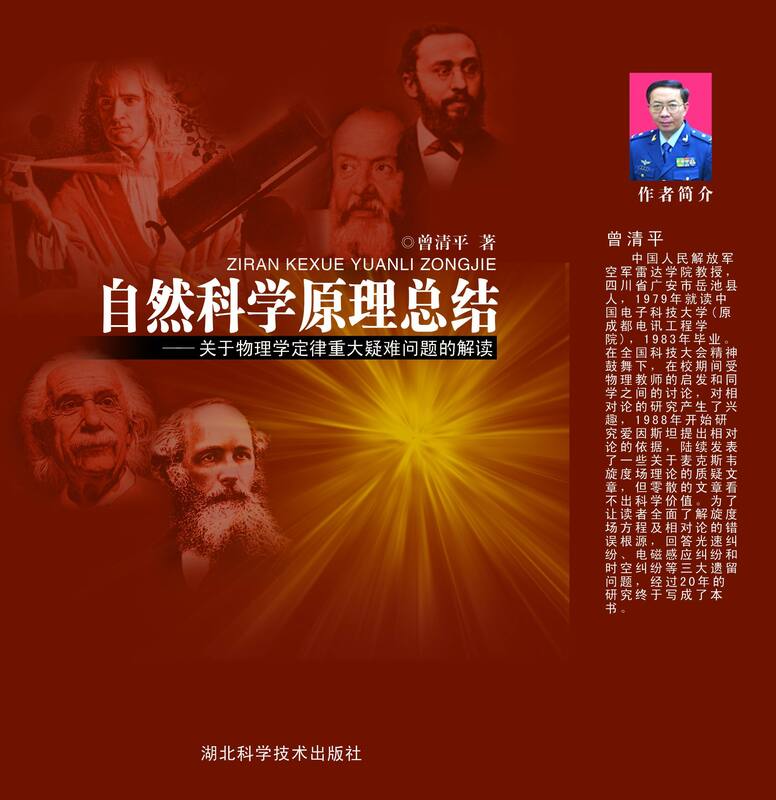 the fifth chapter proves that the essence of electric wave is not energy, identical with experiment. the sixth chapter negates the proposition of special relativity. 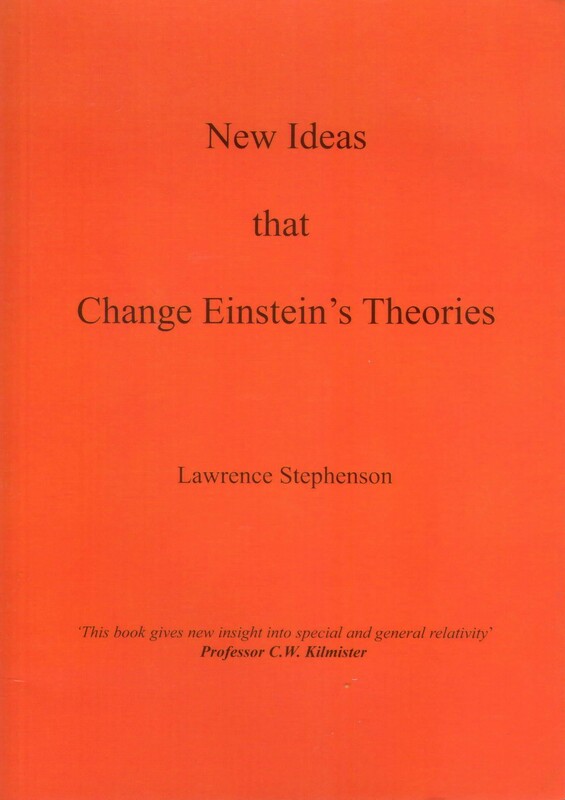 the seventh chapter negates the mathematical tool(Lorentz transformation) of special relativity. the eighth chapter proves light velocity superposition principle. the ninth chapter re-explains the physical experiments with important dissension in history(including Michelson-Morley experiment and Compton roentgen experiment). The tenth chapter discusses the correct space time view on the basis of the three great Newton? ?s Laws. Time is absolute and one-directional, space is absolute and isotropic, light velocity can be able superposition, General Lorentz magnetic force is reasonable, magnetic wave and electric field wave are independently radiant, Einstein? ?s relativity theory is absurd, and the curl theory of free space is a mistake. The conclusions have negated the relativity theory of Einstein and the curl theory of Maxwell, supported the Newton- Galileo space time view and Lorentz magnetic force, and solved the three problems of the light velocity dispute, electromagnetic induction dispute and space time dispute. Besides, Compton roentgen experiment submit to Newton? ?s law; Michelson-Morley experiment submit to Galilean? ?s principle of relativity; the radioactive field-density and the receiving signal-current-density is inverse law with distance.-square. "Time makes fools of us all. Our only comfort is that greater shall come after us". E.T. Bell, ?Men of Mathematics? To you that might be alive or not even born yet and from whose mouth dissent will spring, I dedicate this to you. Whether you are black or white, rich or poor I don't really care; as long as the convictions of the herd will never you deter. Just plough right ahead showing no fear or neglect, ?cause the infallible mind?s time has surely not come yet. The Principles is where the Fault lies buried deep, and that?s where I?ll be waiting for you to come and meet. But hurry not to reach your Ithaca too fast, or Life?s feast for you will certainly not last. Just slowly sip the sweet adventure, drop by drop, the bitter Knowledge too; and when at last we meet, don?t you complain of a youth squandered down the pit. Because your risky trip in vast, untamed waters, has provided for you my friend, all that really matters?" The emergence of the Theory of the Harmonicity of the Field of Light, thirty-one years ago, was induced by a rather simple question that had tortured me for a very long time: How could it be possible, according to Einstein?s Theory of Special Relativity, for clocks moving in a uniform rectilinear translatory fashion to slow down, on account of that motion alone when, by hypothesis, the uniform rectilinear translatory motion of matter is relative. The answer ought to be obvious: It cannot! Because if the conclusion was valid, i.e. if clocks do slow down then, certainly, the one delayed would have to be the one that moved absolutely, a fact that comes into contradiction with the hypothesis that dictates uniform rectilinear motion to be relative. Hence, Einstein?s Theory of Special Relativity contains a fundamental error, as one of its conclusions comes into direct contradiction with one of its hypotheses. Thus, the driving force behind my continuing 30-year research endeavor has been simply the wish to restore Human Reason, as defined by Aristotle, and to defend Common Sense. In addition, over the passing years, I also came to realize that modern day Physics has been (and is still being?) built in a totally ?Babylonian? fashion, i.e. as a confused clutter of empirical observations, the coherent explanation of which requires the fabrication of a constantly increasing number of convenient, per case, ?gods? or ?demons?. A direct result of such an approach to Science is, to my mind, the emergence of disconnected and diverging disciplines such as the General Relativity and Quantum Mechanics theories, the unifying synthesis of which would most probably require yet another convenient ?god? or ?demon?. It explained the phenomena on the basis of Primary Principles which are first and foremost stringently formulated, then safely ?locked? and only then considered solid enough to form on their own the basis for the synthesis, without the need to evoke any kind of ?god? or ?demon?. This kind of reasoning prevails in this work, where I?ve tried to achieve in Theoretical Physics what Euclid, so long ago, had achieved in Geometry namely the reduction of Babylonian empirical observations to Primary Principles. I am grateful to those who, one way or another, stood by me and supported my efforts and specifically: Marianna Gotsoulia, Nikolaos J. Margaris, Leonidas Perdikas, Anastasios Skourogiannis, Joanna Skourogianni, Antonis Tsamantakis, Theodoros Tsiboukis, Anastasios Tsirkas and the late Prof. Jean-Pierre Vigier. This book includes 21 papers written by 23 authors and co-authors. All papers included herein are produced by scholars from People? ?s Republic of China, except two papers written by Prof. L. Sapogin, V. A. Dzhanibekov, Yu. A. Ryabov from Russia, and by Prof. Florentin Smarandache from USA. The editors hope that all these papers will contribute to the advance of scholarly research on several aspects of Special and General Relativity. 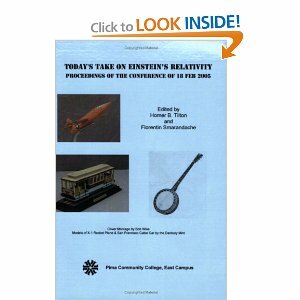 This book is suitable for students and scholars interested in studies on physics. The first paper is written by Hua Di. He writes that Einstein? ?s general theory of relativity cannot explain the perihelion motion of Mercury. Einstein? ?s explanation, based on wrong integral calculus and arbitrary approximations, is a complete failure. The following paper is written by Li Zifeng. His paper reviews basic hypotheses and viewpoints of space-time relationship in Special Relativity; analyzes derivation processes and the mistakes in the Lorentz transformation and Einstein? ?s original paper. The transformation between two coordinate systems moving uniformly relatively to another is established. It is shown that Special Relativity based upon the Lorentz transformation is not correct, and that therelative speed between two objects can be faster than the speed of light. This book includes 21 papers written by 23 authors and co-authors. All papers included herein are produced by scholars from People? ?s Republic of China, except two papers written by Prof. L. Sapogin, V. A. Dzhanibekov, Yu. A. Ryabov from Russia, and by Prof. Florentin Smarandache from USA. The editors hope that all these papers will contribute to the advance of scholarly research on several spects of Special and General Relativity. 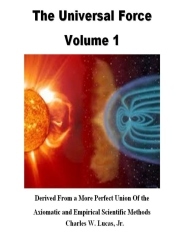 This book is suitable forstudents and scholars interested in studies on physics. The following paper is written by Li Zifeng. His paper reviews basic hypotheses and viewpoints of space-time relationship in Special Relativity; analyzes derivation processes and the mistakes in the Lorentz transformation and Einstein? ?s original paper. The transformation between two coordinate systems moving uniformly relatively to another is established. It is shown that Special Relativity based upon the Lorentz transformation is not correct, and that the relative speed between two objects can be faster than the speed of light. 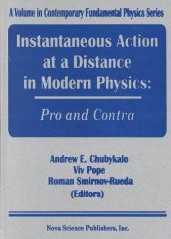 The articles Reciprocity of Refraction and Red Shift are reproduced from this book, interpreting basic optical phenomena without regard to assumptions about the universal constancy of the velocity of light. 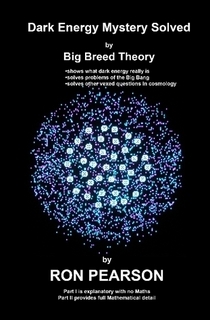 Lost expertise resulted in a Big Bang theory predicting a rate of expansion of the universe billions of times too high. Also mysterious Dark Energy was invented to explain why the expansion was speeding up. PART I of this book describes, without maths, how this mystery was resolved. It resulted from a solution to the first problem showing what Dark Energy really is! PART II provides full mathematical detail. New opposed energy dynamics shows how a small net creation can emerge from the void to provide self-creation. A slowly accelerating expansion of the universe is the predicted result. 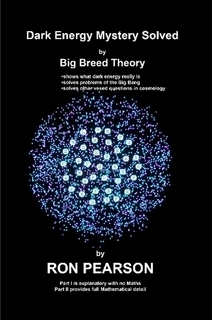 Also, for the first time, a theory is provided able to predict the size of the universe. A new factor adds a massive extra red shift of starlight resulting in greatly reduced estimates for velocities of recession. Six proposals for new research are identified some of them being of Nobel Prize potential. For example, one for a super-computer should confirm the self-organising power of an emerging background structure. Does the universe expand? If it does, then let us prove it, and if so, let us prove how fast it is expanding by measuring the rate of expansion. When dealing in astronomy we should remember all the information we know about the universe outside of the solar system comes to us by way of propagating electromagnetic energy messengers. Astronomical experts acclaim the big bang theory as the only explanation for the expanding universe. The big bang has problems in that it requires breaking laws of physics. Nevertheless, it has been fully accepted as an actual fact. But! Can it be proven? Peer review and referees claim any other idea is pure metaphysics and has no place in science. Such thinking equates back to the time of Galileo when it was thought the earth was the center of the universe where the sun rotated around the earth. The idea the universe is expanding comes from the predominate red shift of the distant universe in all directions. The Doppler effect can be an explanation for this phenomenon. A great advance will be made in astronomy when astronomers come to realize not all red shift is the results of a Doppler shift from receding velocities. This will become quite apparent when they are able to differentiate Doppler from other forms of red shifting. A good place to start is in explaining the Doppler effect. "A receding body has its light shifted down in the red direction depending on the velocity of recession." We cannot deny Doppler shifting for it does operate according to the statement. But examine the statement. If a frequency is shifted to another frequency it is another frequency and it no longer is the original This new frequency cannot tell us what its original frequency was before it was shifted. Therefore, we would be unable to determine how much shifting had occurred. What has been explained to us as Doppler shifting still has the original frequency appearing to be displaced to a lower frequency. From this information we can determine how much the frequency appears to be shifted. Since the original frequency is still present the effect cannot be interpreted as Doppler, because the original frequency still contains portions of the original frequency. There has to be some other reason for what we see other than Doppler. This becomes quite apparent in the Chapter on Time we have presented in this book.